The Town Hotel Doha is a business hotel situated in the heart of the city, and close to major attractions. 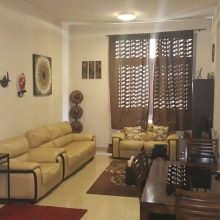 Strategically located close to the bank street and minutes away from the souk. From the carefully appointed bedrooms to the contemporary all dining restaurant geared to offer superior experience, the Town Hotel will cover your needs exceptionally The property that opened in February 2017 is a modern hotel with attractive interior architecture. It features an excellent choice of accommodation with 110 Rooms along with 10 Suites.